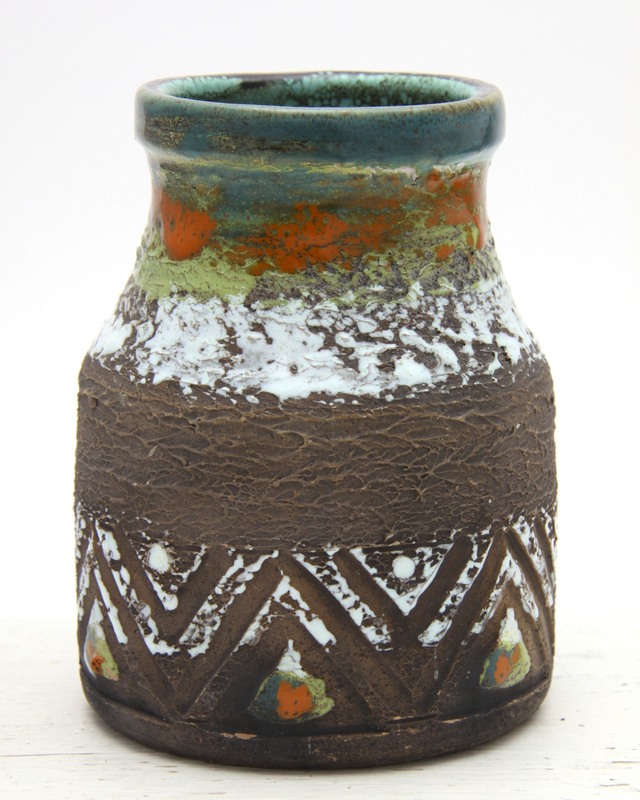 This is a Great Tilgmans Keramik handled vase, made in Sweden circa 1960’s. A Striking piece of Scandinavian pottery, very much in the studio / Fat Lava style. Rough and rustic with incised geometric motifs on a brown base. 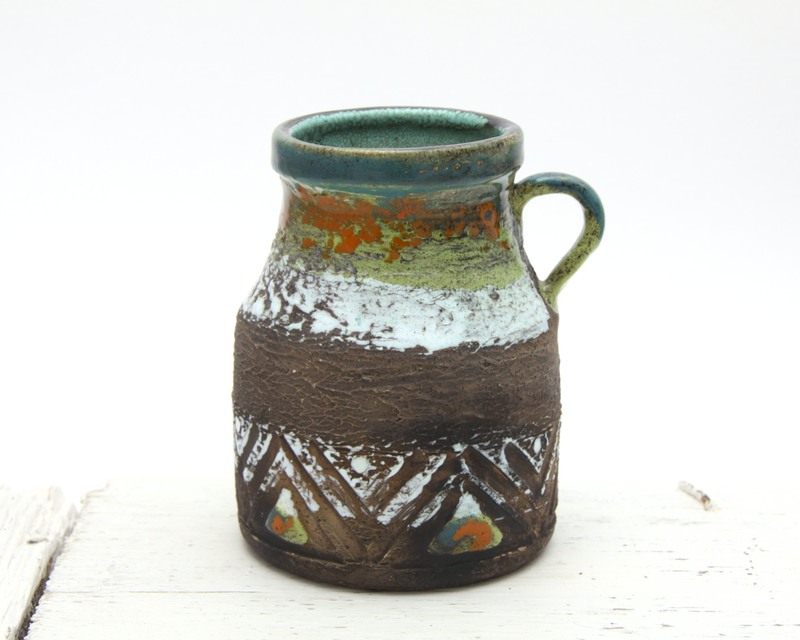 Decorated with orange, green, blue and white glazes in rough handpainted bands over. Completed with a small decorative handle and a wonderfully mottled glossy glazed inner in turquoise. A real contrast to the Brutalist / Modernist outer surfaces, very reminiscent of designs of the era, and of Scandinavian ceramics. Perfect for use as a small vase, as a pen / brush pot for use on a desk / in a kitchen etc. Very sculptural in its own right as a display piece too. Would make a fantastic addition to any collection of Tilgmans / Swedish / European / Studio pottery, and would complement any Scandinavian / Nordic / Mid Century / Retro / Vintage / Modernist / Rustic styled interior. Great Condition, no chips or cracks, some flakes to the rough glaze, nothing to detract on display. Unmarked to the base, but the same decor can be seen on pieces stamped with the Tilgmans mark. Measures 14 x 11 x 10.5cm / 5.5 x 4.5 x 4.25in.